Art of the Title staff have done talks and events all around the world, partnering with organizations to create custom experiences and presentations tailored to each audience. Since 2013, we have given lectures for organizations including Smithsonian American Art Museum, SXSW, AIGA Design Conference, FITC Festival, London College of Communication, CalArts, MODE Summit, PromaxBDA and F5 Festival, TIFF Next Wave Festival, TCM Classic Film Festival, and others. We have also facilitated and conducted events including live "In Conversation With..." events and Q&As and on-stage discussions with filmmakers and designers. We have judged various awards and their presentation events, aided in the production of video and radio content, and curated sections of major film and design exhibitions. If you are interested in discussing an event, email . To see past and upcoming talks by Editor-in-Chief Lola Landekic, click here. Smithsonian American Art Museum — Washington, D.C.
Lola Landekic and Will Perkins gave a talk entitled “Titles or GTFO: 100 Years of Title Design in Film, TV, and Beyond"
Lola Landekic and Will Perkins gave a talk entitled “Talking Titles: How the Language of Cinema Changed Video Games.” The presentation encompassed the broader history of title design, the emergence of title sequences in video games, and the way in which games used the familiar visual language of film to introduce players to virtual worlds, characters, and stories. 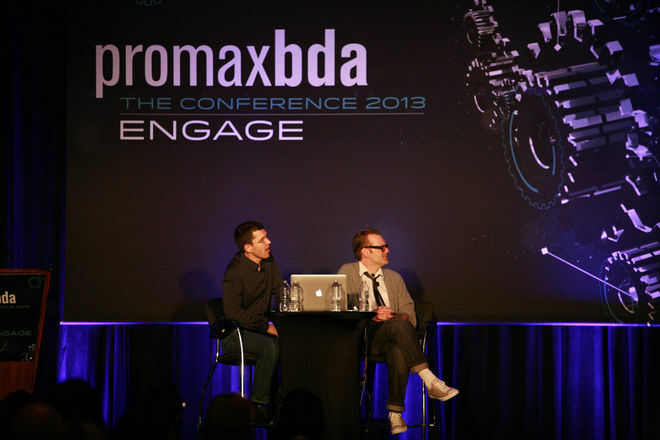 After the success of 2012’s feature article James Bond: 50 Years of Main Title Design, Art of the Title's Ian Albinson and MK12's Creative Director Ben Radatz were invited by PromaxBDA in Los Angeles to present a 45-minute talk on the history of Bond titles for their yearly conference. 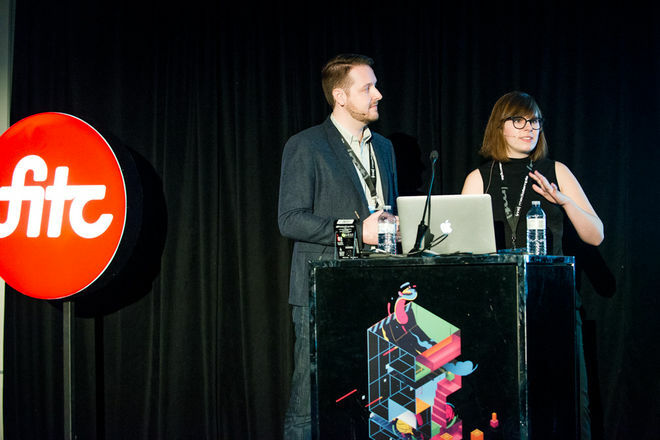 Lola Landekic has been a judge for SXSW's Title Design Competition in 2019 in Austin, Texas and a moderator for the panel "Designing Binge-worthy Title Sequences for TV." 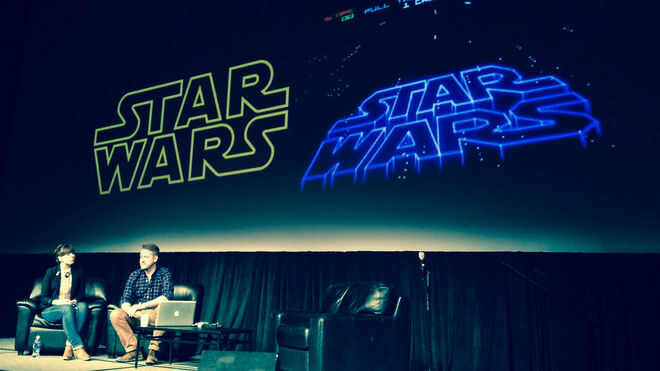 From 2010 to 2014, Art of the Title also facilitated and judged the SXSW Title Design Awards. The team conducted and organized panel discussions featuring designers like Kurt Volk (Troublemaker Studios), Gareth Smith & Jenny Lee (Smith & Lee Design), Ben Radatz (MK12), and Jay Bond (Oily Film Company). Lola Landekic has been a judge for The Motion Awards, judging the Title Sequence category. In 2012, Ian Albinson was invited to be part of the judging panel for the title design section of the 58th Annual Type Directors Club Competition, which also included Competition Chair Karin Fong (formerly Imaginary Forces), Matt Lambert (Motionographer), and Shane Walter (onedotzero). Walker Art Center – Minneapolis / Governor's Island, New York / et al. 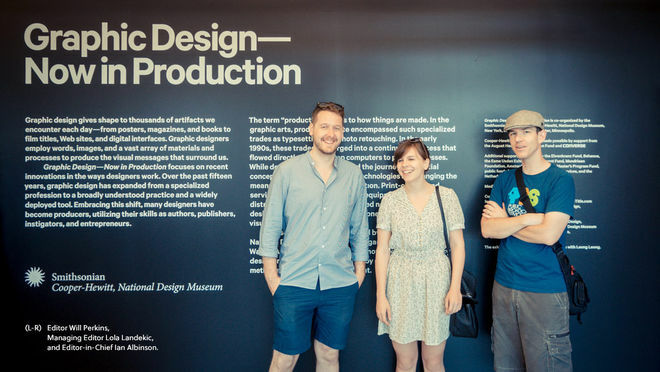 The Art of the Title team was invited to curate the title design section of this traveling exhibition co-organized by the Walker Art Center, Minneapolis, and the Smithsonian Institution’s Cooper-Hewitt, National Design Museum, New York. The title design section features a screening room with a collection of film and television title work created within the last ten years that exemplifies contemporary title design. The subsequent exhibition catalog includes a title design section containing a specially commissioned introduction from Ben Radatz, creative director at MK12 and Art of the Title contributor, as well as write-ups and interview excerpts from the Art of the Title team. See the Walker Art Center for more information. If you are interested in having Art of the Title involved with your event, email .